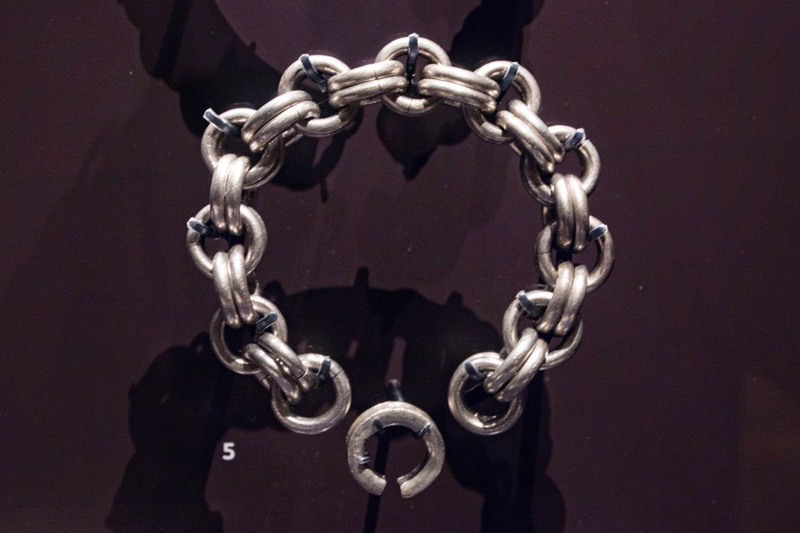 An incomplete Pictish silver chain was found on Borland farm in 1895. Measuring just under 40cm in length, it consists of twenty-pairs of rings and is thought to date to the 4th to 6th centuries. Analysis revealed that the penannular is not solid silver. The chain was part of the collection of Peter F Dunlop of Dolphinton who died in 1925. His collection was purchased for the then National Museum of Antiquities of Scotland, now the National Museums of Scotland, in 1955. Borland is in the parish of Walston and the county of Lanarkshire. Published on the 19th of April 2015 at 11:54 pm. Updated on the 21st of February 2018 at 6:05 pm.